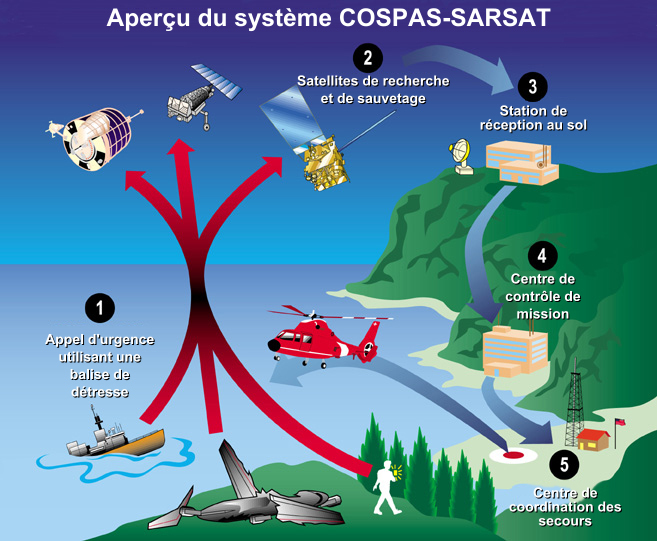 The council of the Cospas-Sarsat international satellite search-and-rescue programme is meeting this year in France, where the 40 member countries will be celebrating the 20th anniversary of the founding intergovernmental agreement signed in 1988. 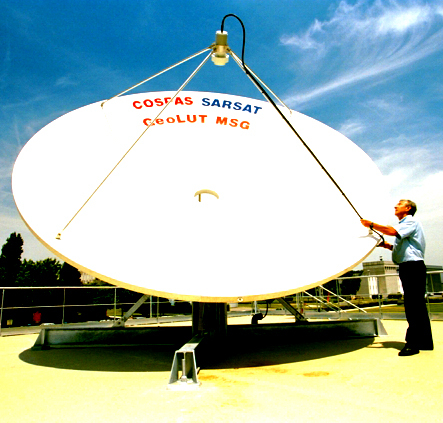 In over 20 years of loyal service, the satellites in the Cospas-Sarsat programme have saved no fewer than 24,700 lives around the world (at end 2007). More than one million locator beacons are operating somewhere on the surface of the globe, transmitting distress calls and positions from on land, at sea and in the air. How the Cospas-Sarsat system works (click image to enlarge). Credits: wikimedia commons. Today, the 4 US POES satellites and the European MetOp-A satellite that form the Sarsat system are carrying Canadian repeaters and French processors in low-Earth polar orbit. Russia is scheduled to launch 2 Cospas satellites in 2009. Since 1996, 5 geostationary satellites relaying signals at 36,000 km have been added to the system: the Indian Space Research Organization’s INSAT-3A satellite covers the Indian Ocean, while 2 US GOES satellites and 2 European MSG satellites watch over the Atlantic and Pacific. These low-Earth and geostationary constellations are what make the Cospas-System so effective, since a satellite passes within range of any distress beacon about 24 times a day. 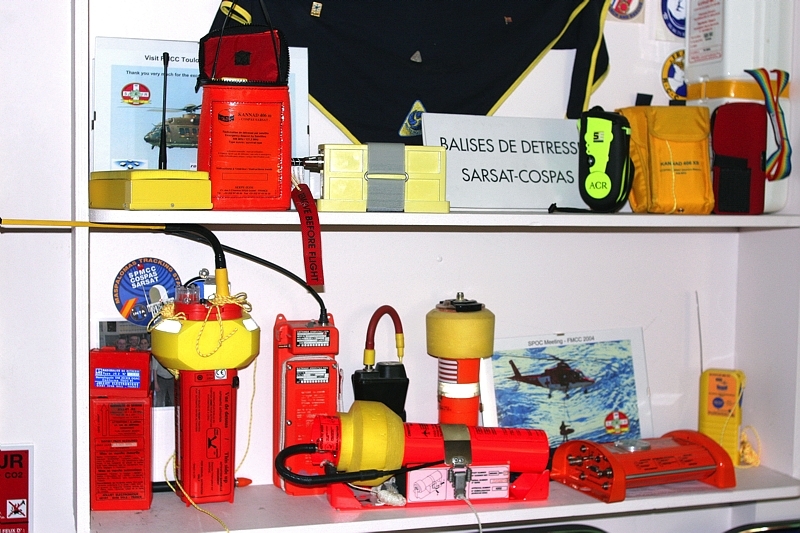 Cospas-Sarsat distress beacon. Credits: CNES. France chairs the Cospas-Sarsat Council every 4 years and will be hosting delegations from the 40 member countries for the 1st time this year in Biarritz, from 27-30 October. “It’s a great honour for us to be welcoming all the members of Cospas-Sarsat, one of the finest examples of international cooperation in space. This 20th anniversary celebration is set to be a great success,” says Michel Margery. Par ailleurs une exposition intitulée « L’Espace veille sur la Mer » sera visible au Musée de la Mer à Biarritz, entre le 22 octobre et le 4 janvier 2009.